We got a report today form Rick's Sport Center. 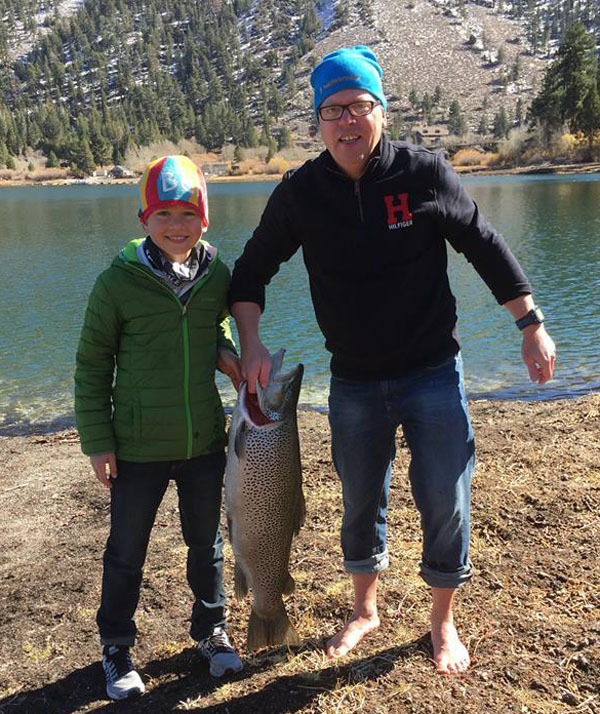 William Saluveer (age 10) was fishing at June Lake with his family on a holiday from Sweden. The Saluveer's rented their fishing equipent from Rick's Sport Center in Mammoth Lakes, CA. It was caught on a spinning rod with 6 pound test and a Gold Kastmaster.